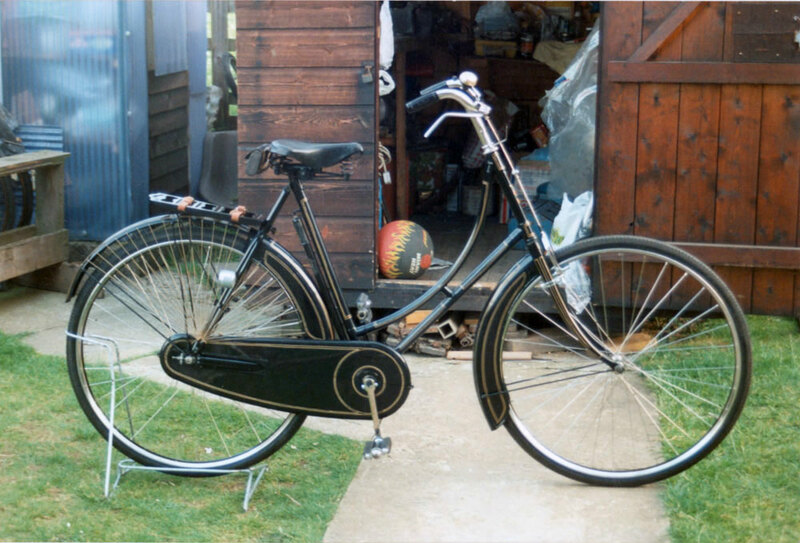 A ladies Ariel, nicely restored. 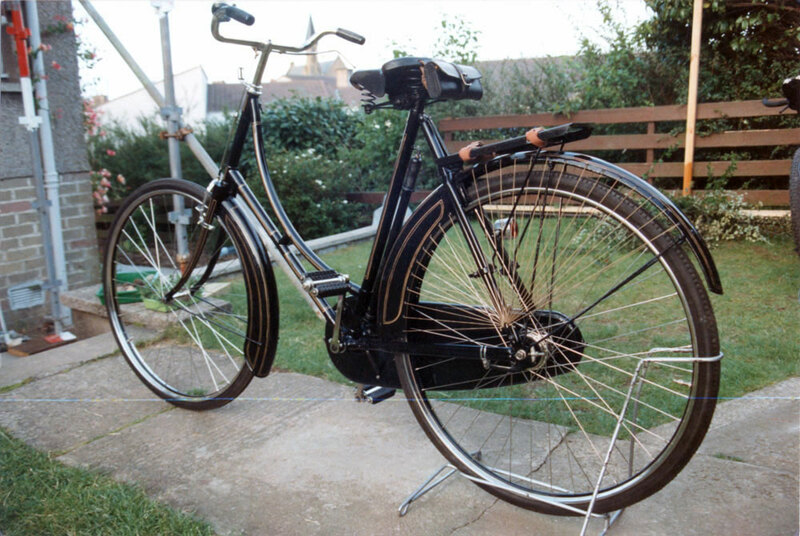 It has valanced mudguards, single speed and a coaster brake. 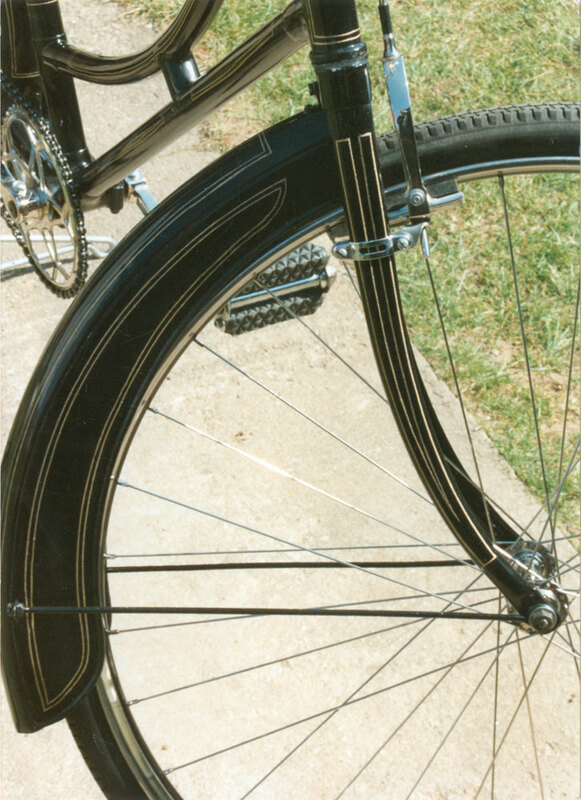 A front mudguard without the front extension was often fitted to allow for a large shopping basket.